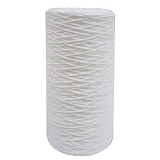 2.5" x 10" String Filter for Sediment. 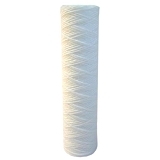 This polypropylene yarn-wound sediment filter provides optimum particulate, sediment and solids filtering capacity. 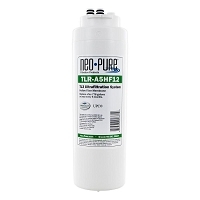 This size is designed for standard 10" housings. 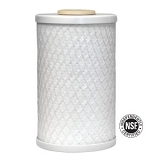 We also carry other sizes and types of sediment filters, if you don't find it on our site, e-mail us with your specific water filtration needs. 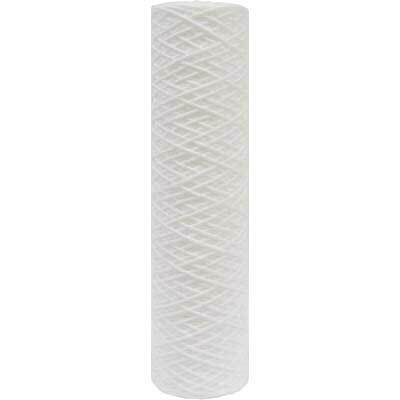 Typically a 5 or 20 micron filter is sufficient, if your water flow is too slow, go to a larger micron size. Sand is 75-150 microns in size. 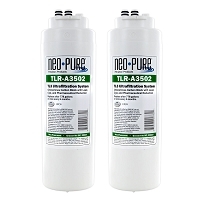 Filter should be changed when a decrease in pressure is noticed. 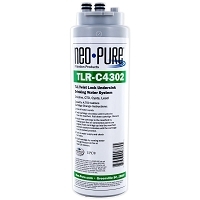 I am new to using filters as I just moved to a home that has a well. I was able to find what I needed at a great price. The filters arrived very quickly! I was surprised at how fast the shipping was. The filter is working beautifully and I have this site book marked for the future! Thanks.